A classical streak common to the latest Diptyque launches, Vetyverio and Eau Duelle, contrasts with the linear and streamlined character of most other fragrances offered by this house. Certainly, Vetyverio and Eau Duelle are not particularly complex, yet their structures offer some nice contrasts and interesting transitions. Eau Duelle is the most layered of the two, offering a bright spicy citrusy note set against a smoky, vanilla enriched amber backdrop. Developed by perfumer Fabrice Pellegrin, Eau Duelle is a woody oriental composition. The smoky, balsamic note reminiscent of lapsang souchong tea is evident even amidst the peppery bergamot top note. Once the initial spicy shimmer softens, the smokiness deepens considerably. The main element that prevents the fragrance from taking a dry leathery direction is vanilla. The composition is richly foiled in its creamy, opaque sweetness. The sweetness and smokiness are kept in a nice balance, with neither one dominating the composition. The most surprising discovery about Eau Duelle for me was its Guerlain reference. It reminded me of Shalimar, but most strongly of L’Instant, where a classical juxtaposition of bergamot and vanilla is ensconced in a lush musk and crisp modern amber base. Nevertheless, Eau Duelle has a number of its own particular features—the clever use of spices and the smoky facet—that place the fragrance into the general woody oriental family, rather than into a copycat category. I do wish for the incense note to be more pronounced; however, overall, I find Eau Duelle to be very enjoyable. I imagine that it would be a great fragrance in the winter—warm and seductive, yet subtle enough for daytime. Eau Duelle includes notes bergamot, cardamom, pink pepper, elemi, juniper, saffron, calamus, frankincense, cypriol, black tea, vanilla, musk and amber. 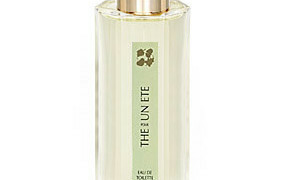 It is available from Aedes, Beautyhabit, First in Fragrance, Barneys New York and Neiman Marcus. 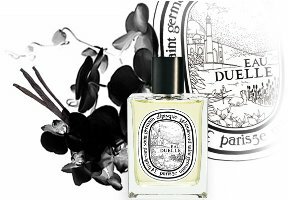 I am happy to enjoy your reviews again 🙂 I didn’t expect what this new Diptyque offers; “This would be a great in the winter.” A must Try! Daisy: This is the SOTD! Maybe it’s because my mother is in town, but it reminds me of the green grass jelly covered in syrup that you can buy on the street in Chinatown . 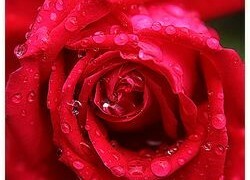 . .
Cecilia: Is really a comforting scent and I like very much the duality between warm, spicy vanilla and cold tea and incense. I tried both the EDP, in which the contrast between vanilla and incense is more pronunced, and the EDT. The EDT stole my heart. 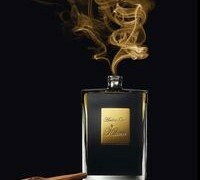 It opens with vanilla, tea and pepper, spicy and feisty, then deepens with musk, a glorious amber and just a hint of incense. Maybe is a sacrilege, but is the best vanilla based oreintal I’ve ever tried. Is almost a cross between SL Bois Vanille and AG Ambre Fetiche.